Ever feel like fear is holding you back from doing well â€¦ just about everything? â€¦ Maybe you STILL havenâ€™t done that FB live? â€¦ Maybe you STILL havenâ€™t launched your first paid offer yet because well â€¦ youâ€™re freakâ€™in SCARED to?! 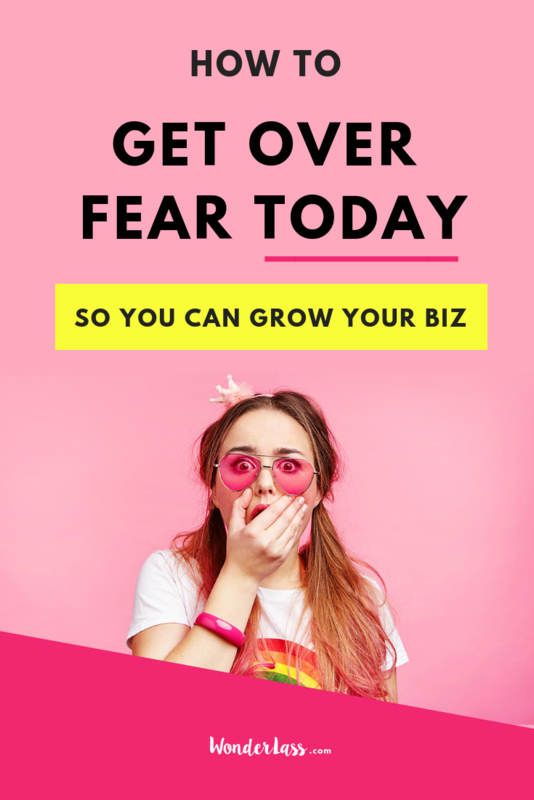 However, if youâ€™re currently letting pesky' â€˜ol fear STOP you from showing up in your business the way that you need to (and heck, even in your LIFE!) then you are absolutely killing your growth and potential. As an entrepreneur who has ventured into multiple businesses over the past 10 years, there have been times where I was SCARED STRAIGHT! We ALL experience it at one point or another â€¦ weâ€™re only human, after all! ðŸ¤·ðŸ�»â€�â™€ï¸� The important thing is you donâ€™t let fear stop you from MOVING FORWARD! My free Facebook group for creative entrepreneurs who want to start + grow an online business with digital products (The Creative Superheroes! ).